Many business owners operate their business as an extension of their personal finances using personal bank accounts and credit cards. This is not a good idea. 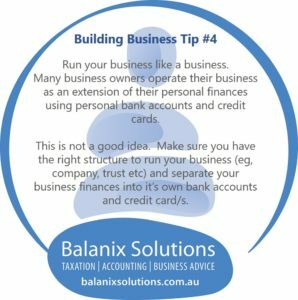 Make sure you have the right structure to run your business (eg, company, trust etc) and separate your business finances into it’s own bank accounts and credit card/s.